Many people we know have never heard of Luxembourg. Wedged in between Belgium, France and Germany, it is one of the smallest and richest countries in the world. The influence from its larger neighbours is reflected in their food and also their official languages: French, German and Luxembourgish. We arrived at Luxembourg airport on a Friday night via Luxair, the country's national airline. The small airport was a breeze to get through and from there it is only a fifteen minute taxi ride to the capital, Luxembourg City. 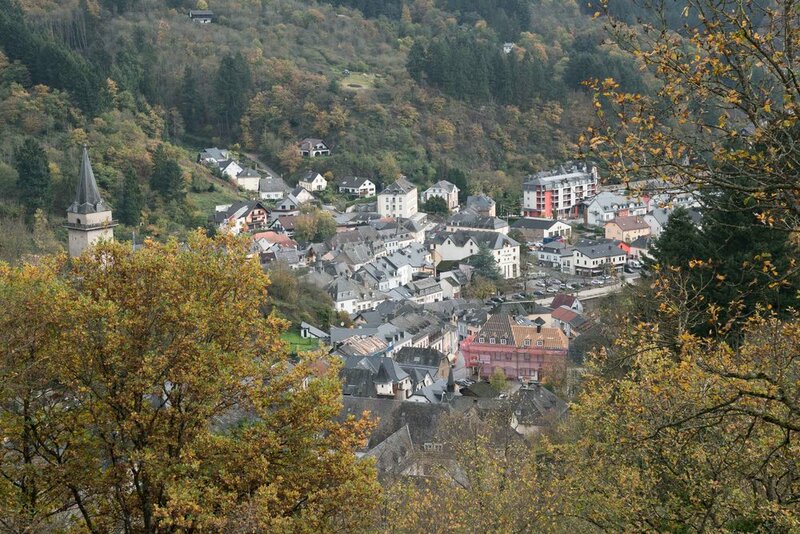 We decided to do a day trip to Vianden on Saturday to see a bit of the Luxembourg countryside. It seemed like a good idea to go on this day as public transportation is not as frequent on Sunday and we did not have to worry about making it back in time to get to the airport. The journey only takes an hour; you take a train to Ettelbruck and change onto a bus to Vianden. A day pass for all transportation in the country is 4 euros. 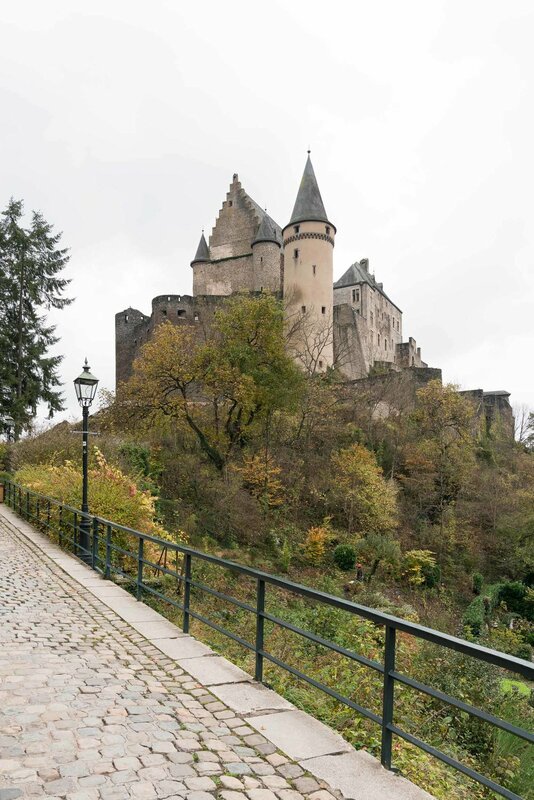 The highlight of the town is the Vianden castle. It is a short walk from the bus station or in the summer you can take a chairlift. We spent an hour touring the castle and about another hour walking around the small town before going for lunch. 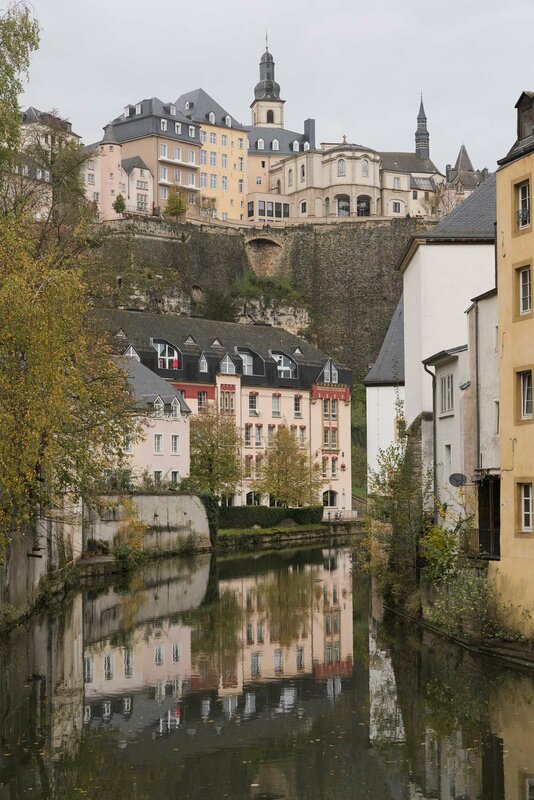 It was still early by the time we got back to Luxembourg City so we walked around the old town. It used to be a heavily fortified city and a lot of the fortifications remain. All the major attractions can easily be explored on foot. Most restaurants and shops are closed on Sunday. However, all of the sights in the city are open or you can visit at anytime so we spent the last day visiting all the places we did not get to the day before. Then we headed to the airport to go back home.